I just bought a Sigma 8-16mm wide-angle lens for my crop-sensor Canon bodies. After a couple of days of cloudy gray weather things cleared up and I got out to my favorite local airport in Middleton (WI) and took some shots of the parked planes. Here is one of a Cirrus. There is also an album with a couple more shots in it. 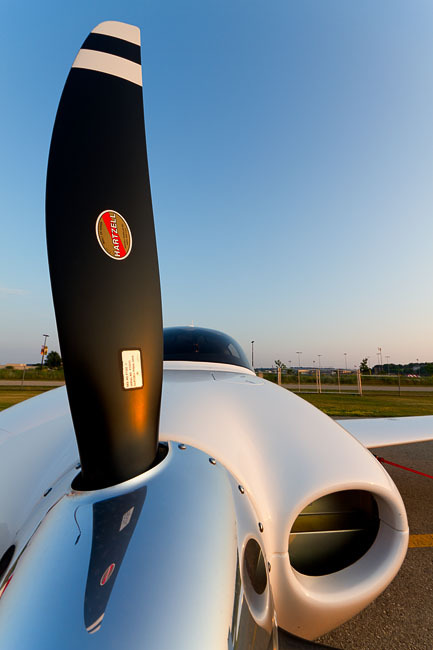 I'm really looking forward to trying it out on the planes at the AirVenture Cup race in Dayton next weekend, and AirVenture the following week.